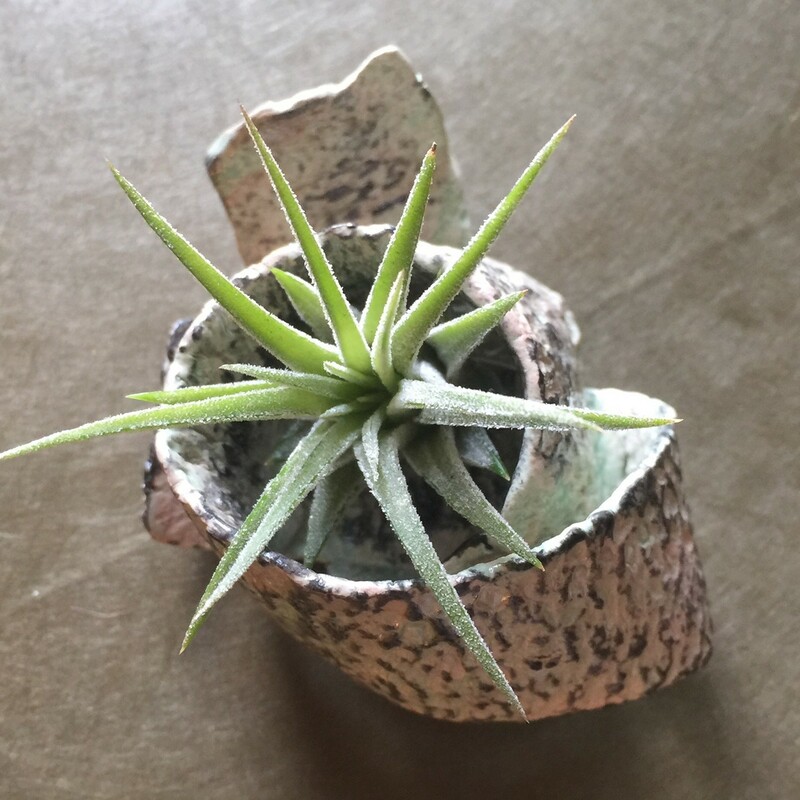 I’ve added a selection of pictures, articles and videos to help you get started on the care of your new tillandsia, commonly referred to as an air plant. I couldn’t possibly give you all the information in this one small post so feel free to hear from the experts via links and videos found down below. You will soon discover how easy air plants are to care for; once a week to 10 days, a soak in the morning, sometimes spritzing between soakings, always a thorough drying and always non-direct sunlight. The water you use for soaking and spritzing is important. I’m lucky enough to live near a lake and rainwater will suffice too. You can’t over water theses plants BUT you will encourage rot by not letting them dry thoroughly. Give bulbous base air plants special treatment when watering them. 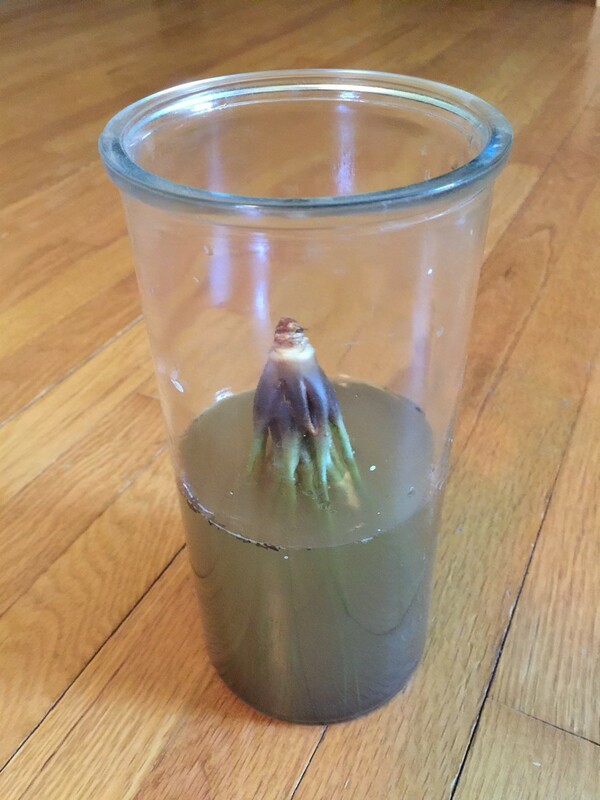 I use a vase, see picture and the first YouTube video for explanations. 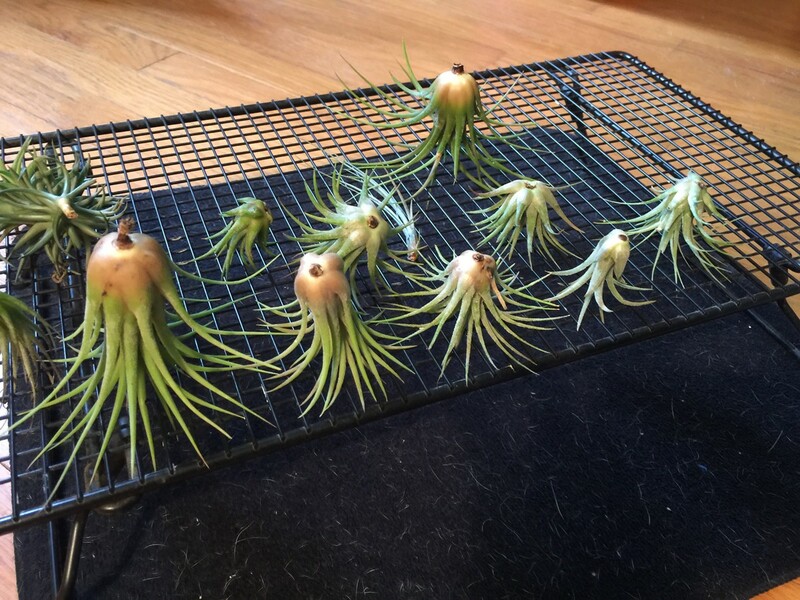 For in general drying of air plants I like to use a fan and sometimes set the plants upside down while drying. Most people use a cloth towel when drying their plants. Remember, air plants take in all their nutrients though their leaves, not their root systems, which are only used for attaching themselves to surfaces. To those who “adopted” a new air plant at NKC’s Arts in the Park you have my personal contact information if I can help in any way. Basic care of air plants – includes sunlight, watering and minor grooming. Starting at 4:10 she talks about watering air plants with a bulbous base. Different methods of displaying air plants – includes removable and permanent displays. Starting at 2:04 she gives the names of common air plants. 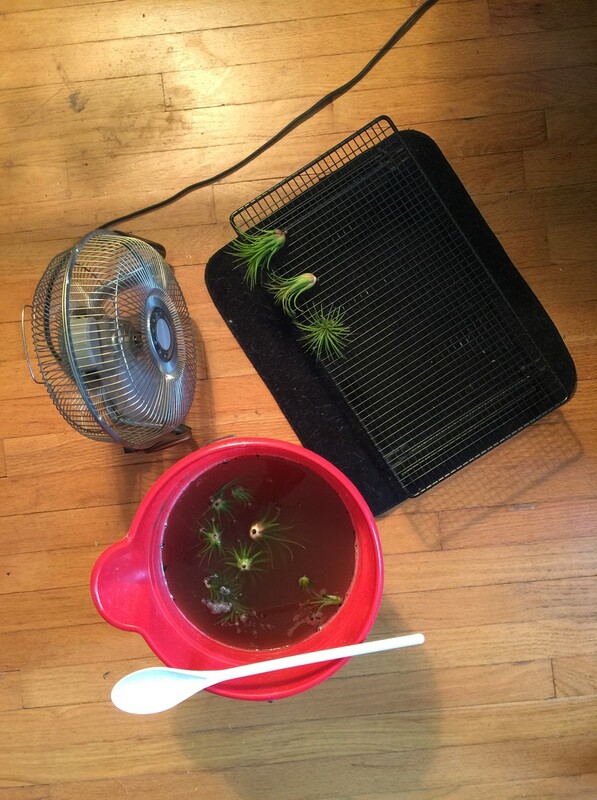 Different amounts of sunlight and watering for different kinds of air plants.